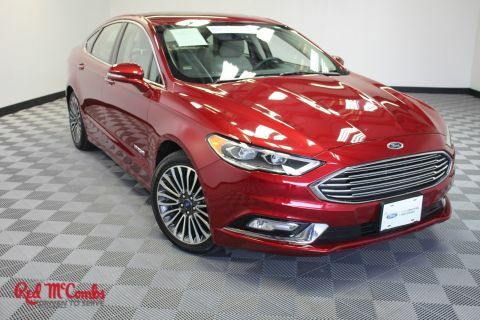 Passionate enthusiasts wanted for this sleek and agile 2019 Ford Fusion Hybrid SEL. Savor buttery smooth shifting from the Variable transmission paired with this high output Gas/Electric I-4 2.0 L/122 engine. With an incredible amount of torque, this vehicle deserves a passionate owner! 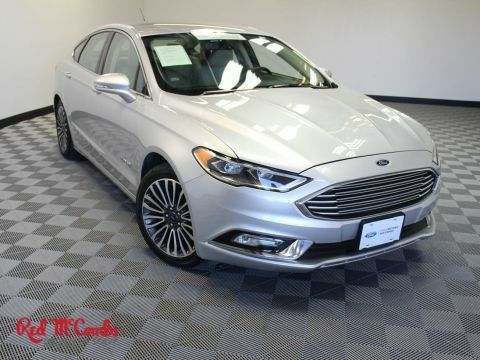 It's loaded with the following options: OXFORD WHITE, EBONY, ACTIVEX HEATED BUCKET SEATS -inc: 10-way power driver seat (fore/aft, up/down, tilt, recline, 2-way power lumbar) w/2 driver side memory settings, 6-way power front passenger seat (fore/aft, up/down w/recline) and 4-way front seat head restraints, Wheels: 17 Sparkle Silver-Painted Aluminum, Trunk Rear Cargo Access, Trip Computer, Transmission: eCVT, Tires: 235/50R17, Tire Specific Low Tire Pressure Warning, Systems Monitor, and SYNC 3 Communications & Entertainment System -inc: enhanced voice recognition, 911 Assist, 8 LCD capacitive touchscreen in center stack w/swipe capability, AppLink, Apple CarPlay, Android Auto and 2 smart charging USB ports. 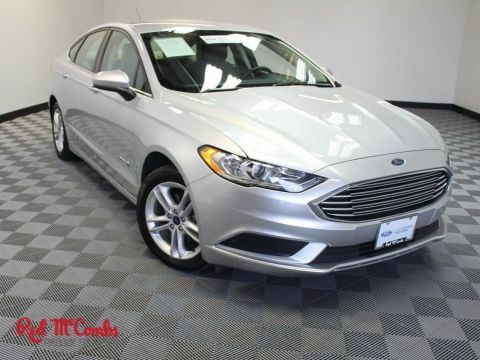 Pick up your friends and hit the road in this peppy and playful Ford Fusion Hybrid. 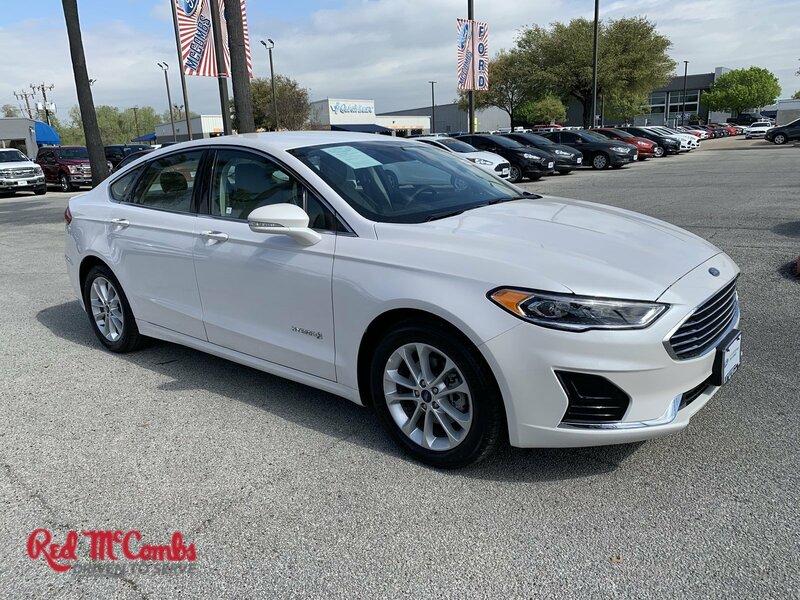 For a hassle-free deal on this must-own Ford Fusion Hybrid come see us at McCombs Ford West, 7111 Nw Loop 410, San Antonio, TX 78238. Just minutes away!